Good paddling technique involves the trunk. 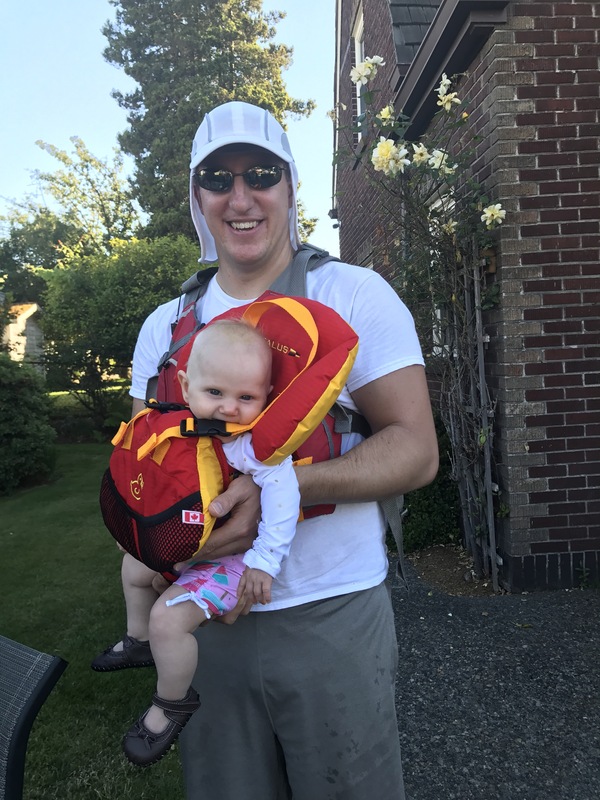 The principal may not be the same but good trunk strength in a four month old makes for much easier paddling! Easier than when she was younger and could barely hold her head up anyway. Now that she can sit up with support she can sit on a small dry bag (filled with a shirt around our phones/keys for a soft surface) between Alex’s legs for us to both be able to paddle. 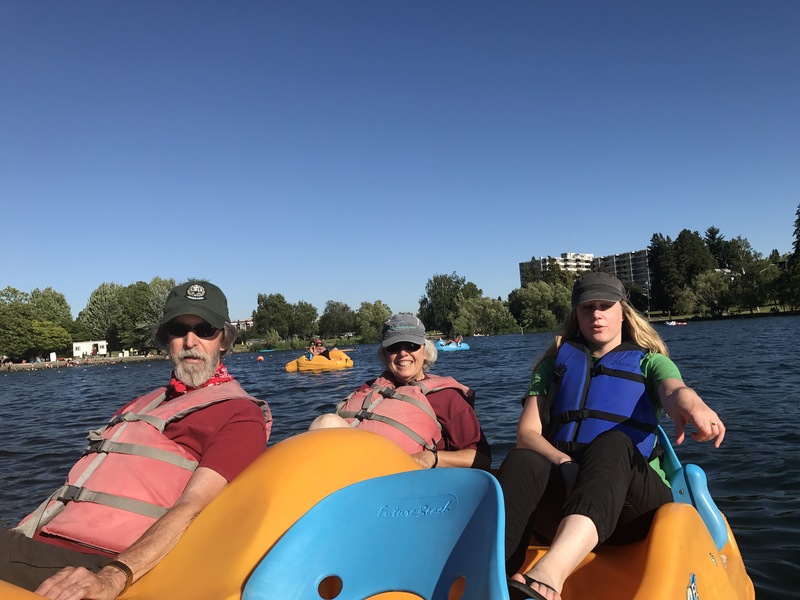 Alex’s sister lives in town and his aunt and uncle were visiting us so they rented a paddle boat at Green Lake ($22 for a four person). One of the sets of peddles weren’t working well and having a forth person probably would have evened the boat out more. Kaya loved the boat. 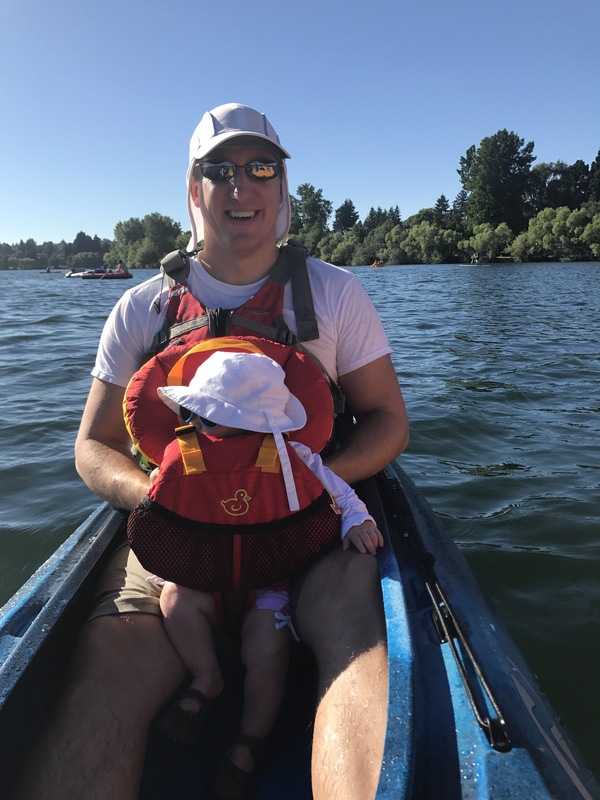 She was fine with the life jacket and quickly was lulled to sleep by the rocking as we paddled. 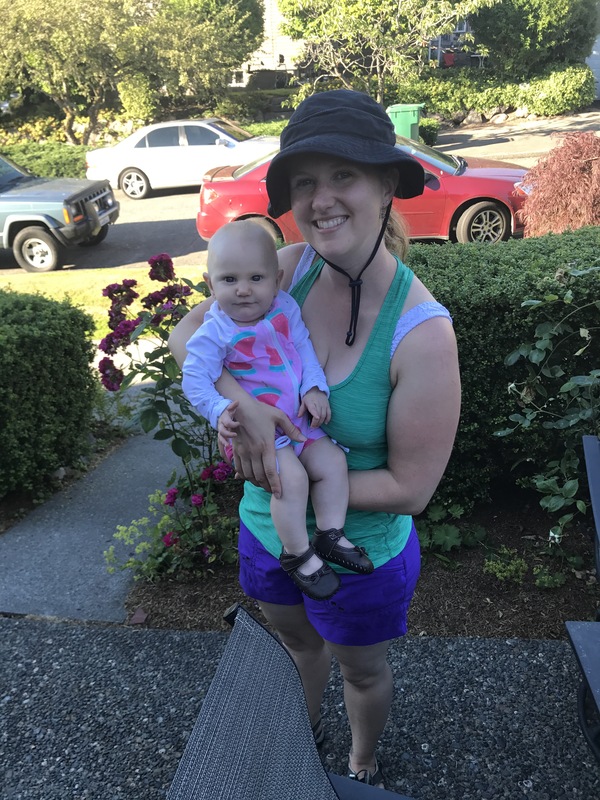 We did have her sun shirt on and sun hat and put on her shoes to protect her little toes from burning. 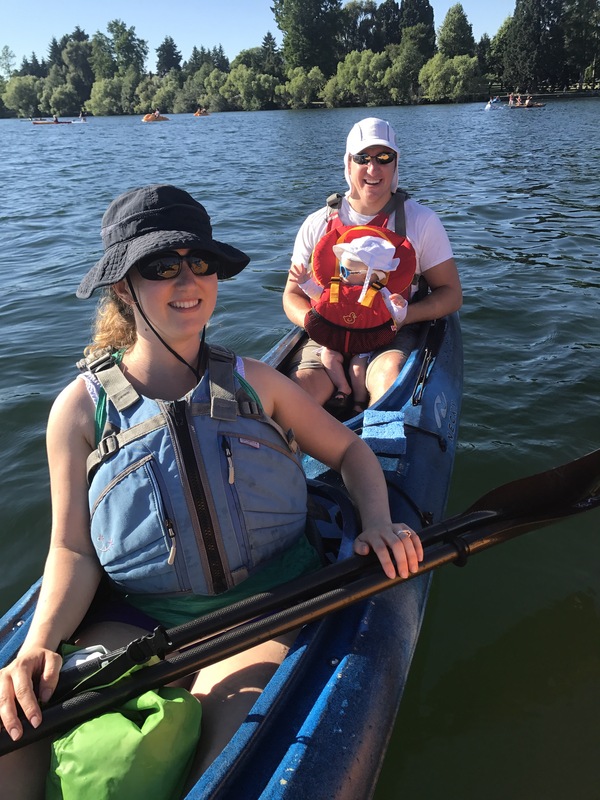 As much as we enjoyed the short time spent on the water with her the last time we were relieved at how much easier it was to paddle with her this time. While we still wouldn’t take her on the Sound this opens our options up to more lakes and further distances.